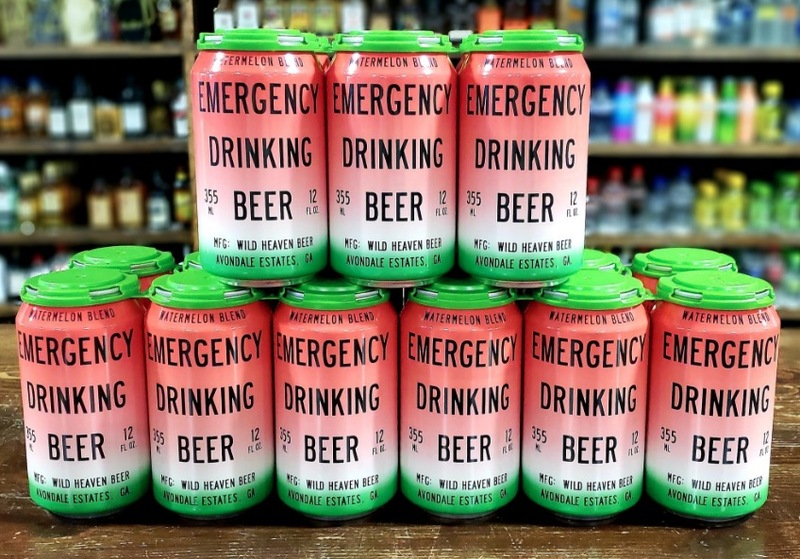 DECATUR, Ga. — Georgia’s Wild Heaven Beer, makers of the popular Emergency Drinking Beer, announce the first-ever can release of Watermelon Emergency Drinking Beer. After a huge response in Georgia and Tennessee for 2017’s draft-only release, the brewery’s production team, lead by Brewmaster and Co-Founder Eric Johnson developed an all-natural process to maintain the beer’s remarkable fresh watermelon flavor while achieving shelf stability. Each batch of Watermelon Emergency Drinking Beer, available this summer in Georgia, Tennessee and Alabama, requires the Wild Heaven team to hand-cut and juice hundreds of watermelons. The fresh, bright red juice is added to the beer to deliver true watermelon taste without any overt sweetness or artificial flavor notes. “Watermelon EDB” is based on Emergency Drinking Beer, Wild Heaven’s hugely popular light craft beer built as a pilsner with lemongrass and sea salt, fermented with an ale yeast. “EDB” is found on taps, in grocery stores and package stores throughout Wild Heaven’s footprint of Georgia, Tennessee and Alabama.